My last visit to Barnegat Light Jetty for the 2018 winter season was to lead a private workshop. We arrived to an incredibly windy morning the day after a huge storm had moved through. 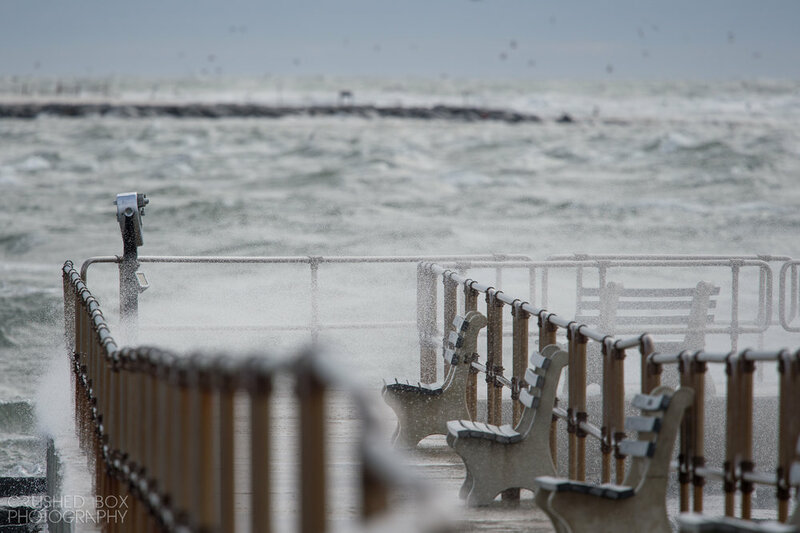 It was also near full moon and to my surprise nearly the entire jetty was completely covered in water and waves. It was the most impressive thing I've seen there and simultaneously a huge disappointment as it meant we wouldn't be shooting the jetty for the birds. I had brought along my lightweight setup and was able to get a couple of photos of the scenery that morning. 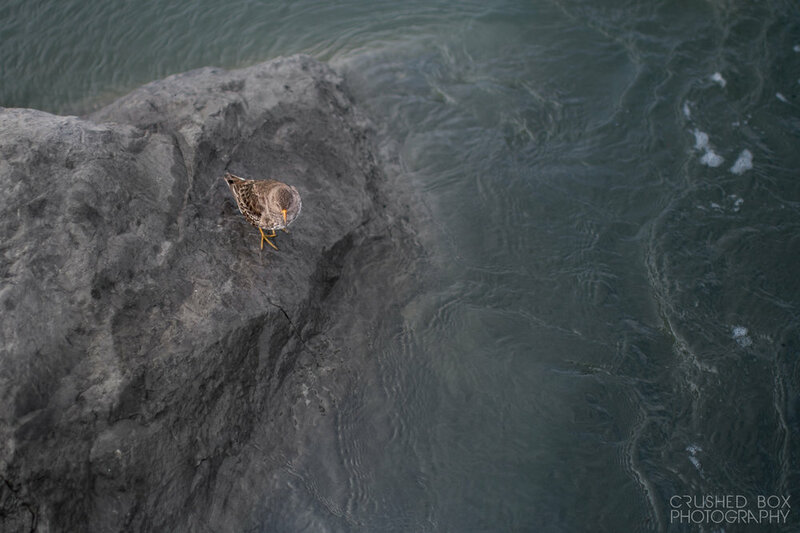 I also got an overhead Purple Sandpiper with my 35mm which came out really interesting. A couple of my friends has also showed up hoping for better weather and while my student and I stood on the safety of dry land we watched them walk back through the incredible crashing waves and wind over the concrete walkway. Of course I had to take a few shots of that happening!